The national median home price for existing single-family homes reached an all-time high, edging up to $269,000, 5.3 percent higher than the second quarter of 2017, according to the latest quarterly report by the National Association of Realtors. 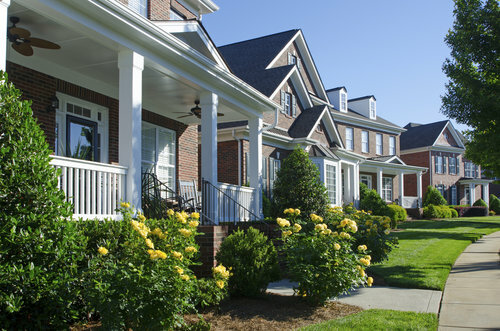 As inventory across the country remains limited, demand was strong during the spring season. But, predicted levels of activity were not met as sales slowed and prices rose. The NAR report notes that single-family home prices grew in 90 percent of measured markets, while 13 percent of markets saw double-digit increases. In fact, last quarter, both the San Francisco and San Jose metro areas had a median sales price above $1 million. By the end of the second quarter, nearly 2 million existing homes were for sale, 0.5 percent more than number of homes for sale at the same time last year. NAR reported that the average supply during the second quarter was 4.1 months, down just 0.1 month in the second quarter of 2017. Although total sales fell in the second quarter, the national median family income grew to $75,106. Even so, affordability decreased within the last year due to rising mortgage rates and home prices. Both single-family home and condo prices rose in about 90 percent of measured markets since one year ago. A majority of the most expensive metro markets last year were on the West Coast, while the lowest priced were scattered from the Midwest to the Northeast. In the South particularly, existing home sales fell nearly 3 percent in the second quarter but are still 0.6 percent higher than at the same time last year. The median existing single-family home price in the South reached $238,500 in the second quarter, 4 percent higher than last year.